Illustrated in color in Time Present and Time Past: Images of a Forgotten Master: Toyohara Kunichika (1835-1900) by Amy Reigle Newland, page 108. "This print is from a group of six known prints. 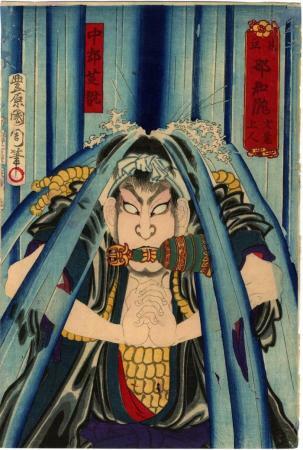 It portrays the 12th-century figure Endō Moritō doing penance under the Nachi waterfall after he accidentally murders his cousin and lover Kesa Gozen. 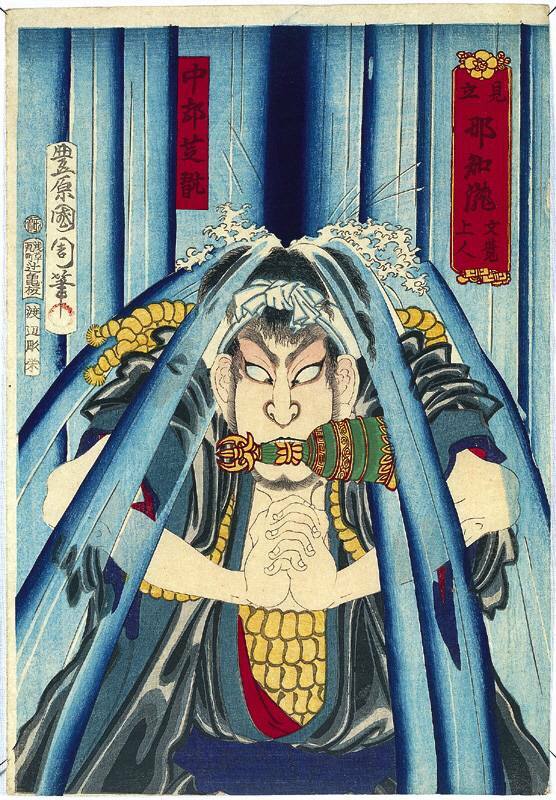 As atonement he takes the tonsure, aussumes the name Mongaku Shōnin and begins a pilgrimage which includes doing penance under the icy waters of the Nachi falls. Kabuki playwrights later adopted the Mongaku story in [this] piece..."